For the past 67 years, ICOM has hosted annual regional and global meetings for all of its members. The meetings are always insightful, energising conferences for Agency Leaders – but for the first time last month, we wanted to take it a step further. When hosting the 2018 EMEA Meeting in Malta, we extended the invitation to the younger executives from the agencies. 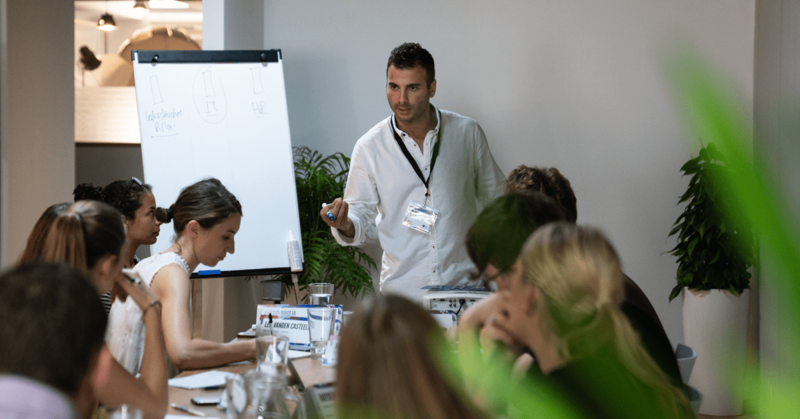 While the Agency Leaders meeting happened in Valletta, the under-30s met at the Switch offices for a 2-day bootcamp, working to solve a real business problem for a guest client – eCabs. We kicked things off with a welcome dinner within the soft gold light of the dining room at the Phoenicia hotel, where the under-30s had their first chance to mingle. 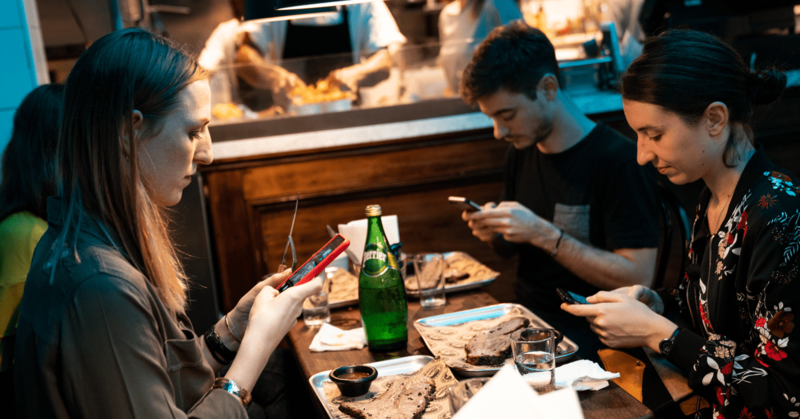 While the small-talk was stilted at first, some good food and wine went a long way to greasing the wheels, and very soon, people were happily chatting about the projects they were working on, and sharing their experiences within the digital marketing world. Thursday morning was the unofficial inauguration of the new Switch offices, and our guests were the first to experience it. Ensconced in a warm, sun-streaked space, the group started the morning with a session by the Bootcamp Mentor, Martin Henley, who broke the ice with interactive games to help everyone get to know each other a little better. When everyone was comfortable, and enjoying their newly formed friendships, Martin introduced the tug-of-war. We were separated into teams, and had to do their best to overbalance the other team. As early as it was in the morning, energy initially flagged, however competitive spirit soon kicked in, leading to a neck-and-neck battle for victory. After the athleticism, Martin gave us a task: create a new religion, a new government, and a new social media through communication exercises. The caveat was that Martin, wielding an electric buzzer, was well within his rights to stop the discussion at any opportunity – whether the team was done talking or not. Let’s just say that he seemed to enjoy using his buzzer more than we reckoned he would, often stopping the teams mid-way through a sentence and forcing them to rethink what they were saying! It eventually became clear that he was looking for the group to discuss, rather than elect a leader to talk for them: the more people interacted together, and bounced off of each other, the more time they gained to argue their point. In the end, there was no definitive religion, social media, or government invented, however the teams were sparking each other, inspiring each other, and ready to dive into the next task. Mission accomplished. After a quick lunch served up by Danny’s, it was time to meet the client. Matthew Bezzina, the co-founder of eCabs, gave us a brief introduction to his business before posing a problem that his company was facing. This was the crux of the bootcamp: the under-30s team had to propose a solution to this problem within just a few hours. Fortunately, Martin’s earlier exercises had the teams raring to go. Teams argued until they were hoarse, kept the conversation going over dinner at Fat Louie’s that evening, and went to bed early – tomorrow, they’d be debuting their solution to Matthew Bezzina, Martin, and all the Agency Leaders. Gulp. The Switch offices were crackling with energy as all 3 sub-teams worked to make sure that each presentation had a definitive message running through the core of the solution. There was only time for a quick run-through before lunch, after which everyone was set to meet in Valletta for a treasure hunt around the capital. This is where things were shaken up a little further: this time, the younger attendees were mixed into teams with the agency leaders – the objective was to seek out all the items on the treasure hunt list, and beat out every other team to win. 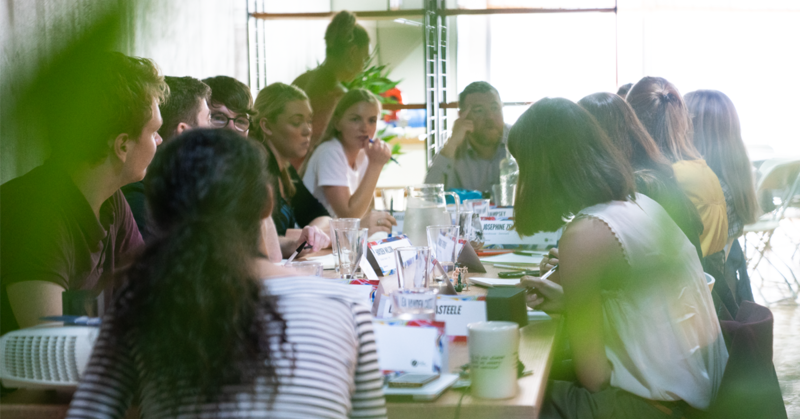 Happy, and exhausted, the under-30s returned to the City Lounge terrace to present their solutions to the ICOM agency leaders – and Matthew himself of course. On Thursday, the problem seemed insurmountable: five hours to solve a problem that had been happening for months? Even Matthew himself admitted that he didn’t think they’d manage much – but sure enough, he was proved wrong. 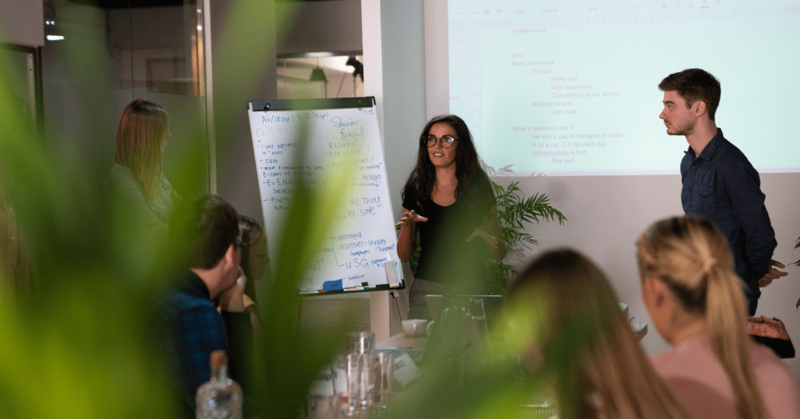 The bootcamp team pulled together to present a solution that was viable, cost-effective, and out-of-the-box – exactly what they were briefed to do from day 1. ICOM and Switch wanted to showcase that experience doesn’t just come from age; sometimes, it comes from working in a field which demands out of the box thinking in order to stand out from the crowd. Our agencies’ executives are part of our teams for a reason – they’re smart, sharp and do great work. Why not let them flex their muscles outside of their comfort zone? As the Agency Leaders themselves said after the presentation – the future is looking bright. Extending future ICOM Meetings to younger members will definitely become a standard. After all, there’s far too many benefits for everyone involved to stop them from coming together!